This photo set is called 'On the Run' for Vogue Hommes International, and it features Jamie Dornan getting dirty for photographer Cédric Buchet. 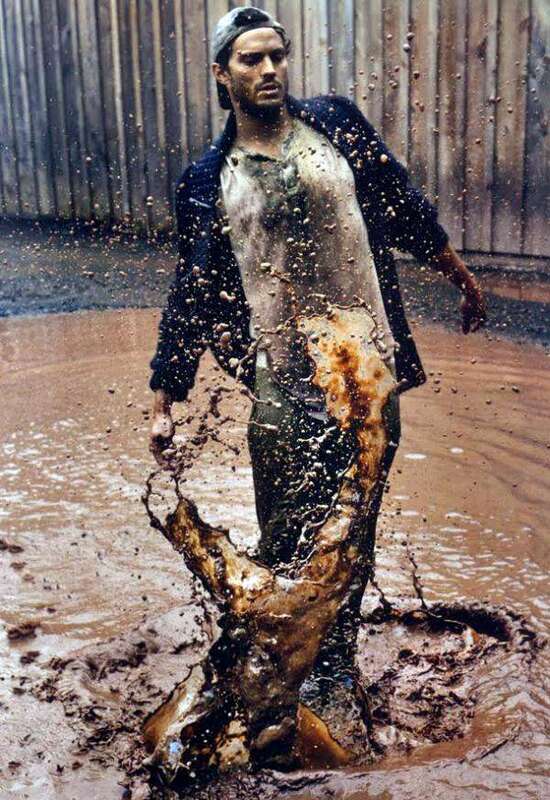 Dornan plays in mud, lounges around in filthy jeans and messes around with what looks like a didgeridoo. Who says fashion has to be clean and well-groomed? Check out more images from 'On the Run' in Vogue Hommes International in the gallery above, and keep clicking for more filthy features from Trend Hunter's archives.